With salmon in mouth this fisher is a true survivor. 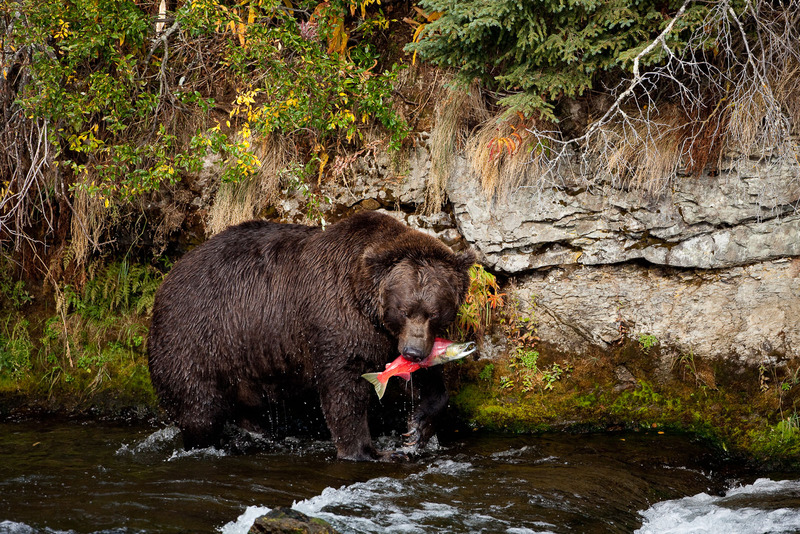 Stocking up to 90lbs of fish a day to back on the pounds to survive hibernation. Photo © copyright by Lance B. Carter.